“Okay! What’s next” was the thought that constantly ran through Martha’s head, like a metronome keeping her in beat to her non-stop lifestyle. Anytime there was a beat, a pause, a silence – “What’s next?! – egged her on. Martha was indeed a work-a-holic! Like all emotional habit patterns, staying busy was that Thing She Did, to minimize difficult emotions, and/or cling to the good feelings. 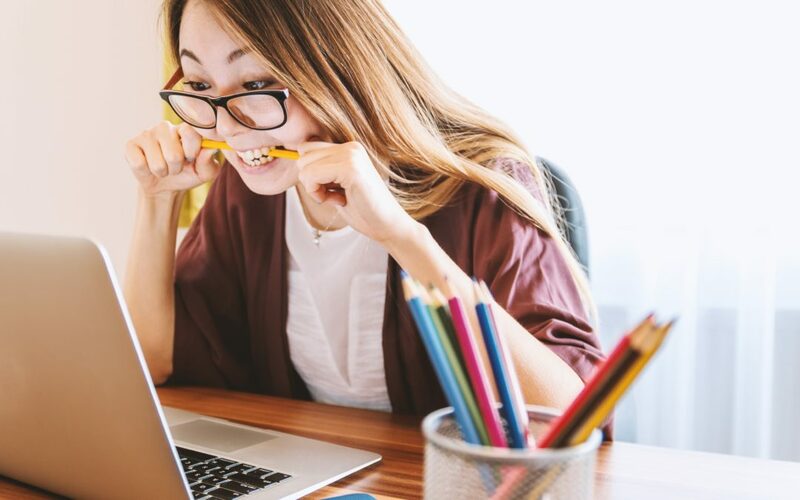 Similar to, but different from, last week’s emotional habit pattern of Perfectionism – today we’re going to unpack the underlying components of this potentially toxic habit pattern – and what you can do to break the cycle. Check lists, Siri reminders, efficiency apps, color-coded work-spaces, and endless things ‘to do’ defined Martha’s busy life. Her work ethic and ability to get sh*t done was indeed, impressive! Just watching her could make others feel like a wilted flower – utterly incapable of keeping up. This is what we see, and feel, from the outside when we meet one of these go-getters. But the important take away in this series is this: what we assume or how we feel about another person’s behaviors is frequently very different from what actually drives them. In other words, outcome is something very very different from intention. Two people, doing the exact same behaviors, may be, and usually are, driven by very different, and unique internal stimuli – based on their past experience. Martha was raised in a family with extraordinarily high expectations, for performance, and ‘making good use of the time you have the privilege to be on the planet!’ as her father often lectured. So Martha had some pretty serious passenger programming about the need to maintain a breakneck pace and her worth equating to her output. Throughout her childhood and adolescence, performance was rewarded and shown off to friends and family. ‘Laziness’ or ‘idleness’ or any lack of activity was frowned upon, or even ridiculed. So you can see how Martha’s busy bee behavior was just the outside representation of her emotional habit pattern. An essential first step to building objective self-awareness of our own ‘Thing’ is to know the difference between what’s happening on the inside, from what’s happening on the outside. Martha wasn’t quite aware yet of how the endless ‘to do lists’ as a fact in life, was something different from her way of attending and reacting to them. Her habitual ways of thinking and doing kept the Emotions – Thoughts – Actions (ETA) system spinning her into anxiety and burnout. For Martha, thoughts like, “I can’t handle this,” “I need help,” coupled with, “But I need to do everything myself, or I’ll be mocked!” led to a whole symphony of discordant emotions. Doubt and anxiety emotions pushed the action impulses of DO more and reassurance seeking. Irritability pushed the action impulse to express disagreement, interrupt, and generally get kind of snarky. She felt trapped inside her body, with tightness in her chest, muscle tension, and an itching restlessness. She was super uncomfortable! Over and over again, in a desperate attempt to get rid of her discomfort (i.e. anxiety and self judgment), Martha would turn back to the crack pipe of emotional control efforts. She used her work to distract, and regain a sense of mastery (and thus relief) over the chaos she was experiencing. Have you ever noticed how calm you feel when really focused on a task? Our brains love tasks! But like a computer with too many windows open and without the occasional reboot, we begin to slow and may even shut down unexpectedly. Martha’s Groundhog Day of work, sleep, repeat – increased her sense of control in the short term, but not in the long term. The all-consuming game of whack-a-mole she was playing never gave her a chance to pause and listen to her internal compass. She lacked that delicious sense of truly knowing what she wanted her life to stand for. The key to masterfully moving through the difficult, and often opposing, thoughts and feelings related to our goals is by practicing, what I call “Holding Bothness.” By doing so we are honoring and validating both the difficulty of pursuing what’s important, and keeping our eye on the prize. Adapted from Dr. Jenna LeJeune’s Two Sides of the Same Coin, this exercise helps us to actively engage in the otherwise challenging idea of holding bothness. So, are you willing? Great! Let’s Practice. On an index card or piece of paper, write down an activity or relationship that you truly value but find yourself avoiding, procrastinating, or otherwise ignoring. Also write why it’s important to you. On the other side, write down the difficult thoughts and emotions that may come up when you take action towards that value. Put the card in your pocket, wallet, or purse. Over the next week, take it out, look at both sides, and invite yourself if you are willing to have that card, with both the good and bad. You can either avoid both the value and the pain, or you can embrace them both. If you embrace them both, identify one small and doable action that reflects that value and commit to doing it this coming week. We’d just love it if you would tell us how it goes in the comments section! Remember, we’re all in this thing called being human together. The more we all come clean about how challenging it is to go beyond adulting, the more we can all come together to make the world a more supportive and humane place. 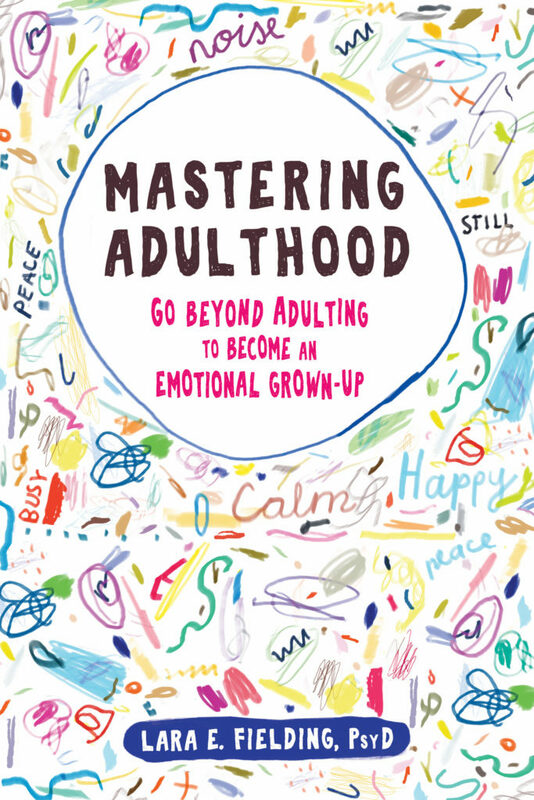 This blog is inspired by Dr. Fielding’s upcoming book: Mastering Adulthood: Go Beyond Adulting to Become an Emotional Grown-Up, which includes QR code linked skill videos to guide you on your journey of self-discovery and emotional self-care! To get the blogs, AND a free skill video, straight into your inbox, sign up for the Mindful-Mastery SKILL WEEKLY newsletter. Or check back here next week for the next post: The Smartphone/Social Media Attachment Pattern. We can also hang out on Facebook, Twitter, or Instagram. Or YouTube for skills videos! and a FREE skill video! when stress is high, and emotions strong. Join the Mindful-Mastery tribe to get the SKILL WEEKLY and a FREE skill video! The skills we all need sometimes, when stress is high, and emotions strong.